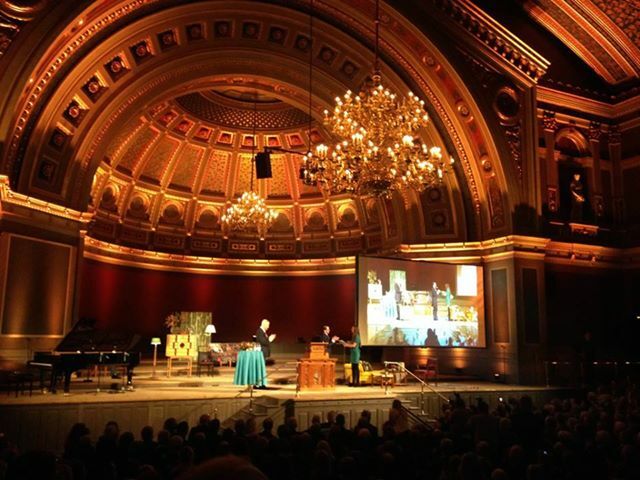 This afternoon the Anders Wall lecture on entrepreneurship celebrated its 10th anniversary. The University Hall was filled to the last seat, and we got to enjoy inspiring and creative lectures of various kinds. This year’s Anders Wall lecturers were Anders Wahlroos, Nordea, Sampo Group and UPM, Mernosh Saatchi, Humblestorm, Linus Holmsäter, Heyrobic, Mia Brunell, Kinnevik, Camilla Ljunggren, designer Pluring. The day was organized by the Entrepreneurs Academy, the Anders Wall Foundation in Entrepreneurship and Uppsala University. 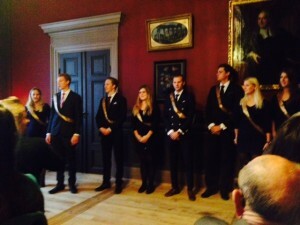 At the lecture, the Uppsala Student of the Year 2013 was also presented. It is Kajsa Asplund, student at the Psychology Program. She received the scholarship for her resourcefulness, as well as her drive and entrepreneurship. The scholarship was presented by Prince Daniel. Many thanks to all of you who contributed to a successful day. The Uppsala Student of the year 2013, Kajsa Asplund, receives the scholarship at the Anders Wall lecture in the University Hall. 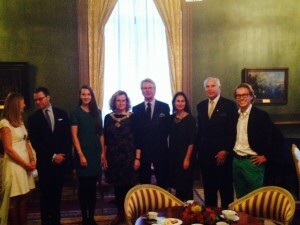 The lecturers with Anders Wall and Prince Daniel.